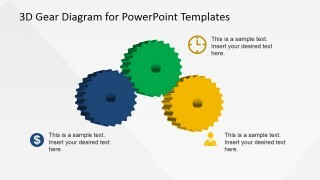 Discuss your business presentations clearly and creatively with this 3 Steps 3D PowerPoint Gear Diagram template. 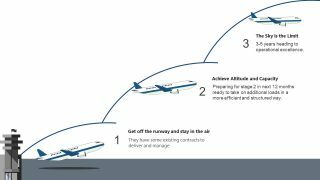 This PowerPoint presentation is most appropriate with processes involving only three steps or layers. However, this business diagram may be applied for decision making in different departments of the company as well. Each wedge is labelled with business icons which makes it easy to comprehend. As a part of a machine, gears are working with other parts to operate. 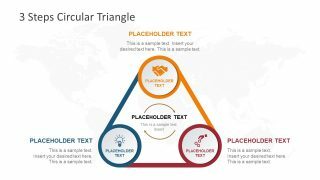 This PowerPoint design reinforces that idea by showing the significance of how the three steps or layers should be done altogether. It is not enough to finish just one part of the job. In business organizations, compliance of every step of the process is indicative of the success or fail of the entire task or project at hand. 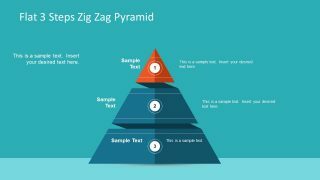 This PowerPoint slide may help the organization give as much focus on each step or layer. Each wedge is given a slide for the presenter to explain it in full detail. Also, the individual slides aids the presenter in showing how one task is separate from the other. This will avoid mixing up or repeating of tasks. These features are fashioned to give the employees a vivid picture of the entire report and at the same time, also give the decision makers more information about a certain step or element before doing the necessary steps. 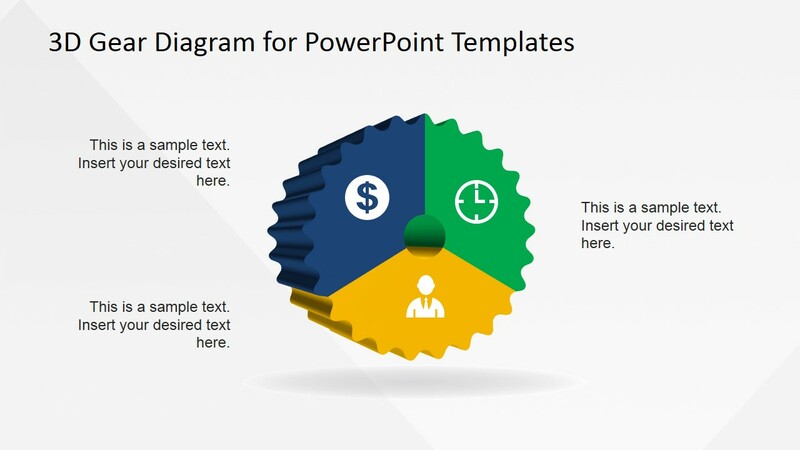 All PowerPoint icons throughout the slides are easy to adapt and to customize. 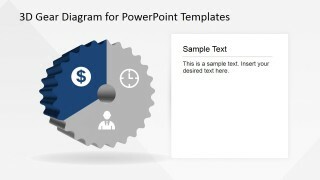 Text placeholders have simple layout to deliver business reports straight to the point. 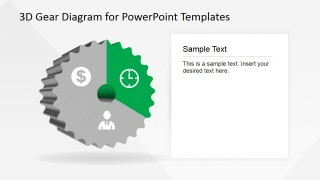 The features of this PowerPoint template are designed in high definition graphics. 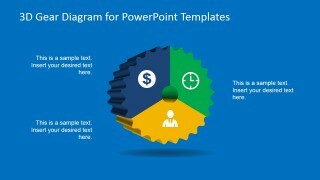 The presenter may modify the PowerPoint objects according to his preference without affecting the image quality. 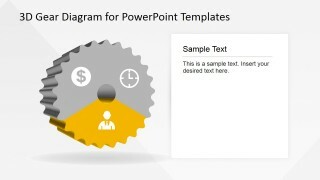 The 3D design of the PowerPoint template makes it more appealing to the audience. 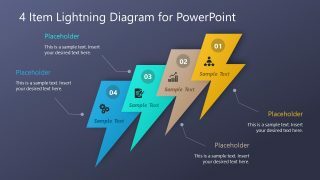 Secure their full attention to the presentation using the vibrant 3 Steps 3D PowerPoint Gear Diagram.